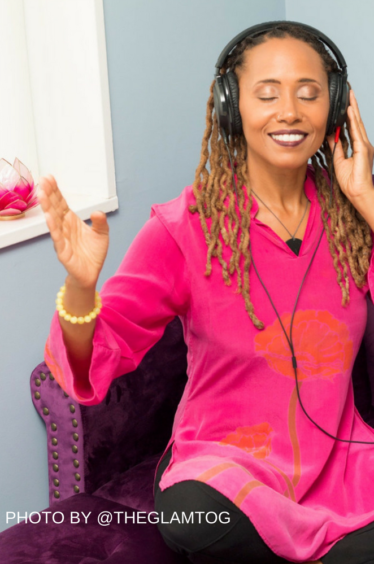 “The Sanctuary” is an informational radio show for women of color to be inspired, educated and empowered to be their most authentic and healthy selves by tapping into the Goddess within. “The Sanctuary”addresses the well-documented, health and wellness disparities we face and shares long-lost, indigenous, holistic methods of healing our bodies with a focus on nutrition; while highlighting local change-agents who are working to positively impact the trajectory of the community. Wendi Cherry is a 25-year entertainment and event production veteran who left corporate America to birth her life’s work, The Goddess Awakening & Healing Sanctuary, LLC, a full-service, holistic life-coaching revolution. After battling her own health challenges, many of them due to work-related stress, Wendi became a student of integrative (holistic) medicine when she became exposed to non-traditional healers who taught her the philosophy that by balancing her mind, body and spirit she was capable of healing herself. Besides coaching, she is the mom of a teen, world-traveler and author. Wendi holds a certification as an Integrative Nutrition Health Coach from the Institute of Integrative Nutrition. Listen to The Sanctuary on-demand via iTunes, Google Music, Spotify, and Soundcloud.